Spot-Lock - Spot-Lock works like an electronic anchor. Choose up to three separate spots for i-Pilot to remember, and at the push of a button, it will correct for wind or current to hold you in place. Spot-Lock Recall lets you return to your spot later, from up to a quarter mile away. Record A Track - Simply push the Record button and fish along your desired course. i-Pilot will store that track to memory (up to three separate tracks) and retrace it automatically with its playback features. CoPilot - With our legendary CoPilot functions, you can control speed, steering, prop on/off and high-speed bypass from your i-Pilot wireless remote, leaving you free to fish from anywhere on the boat. Cruise Control - i-Pilot's cruise control function gives you unparalleled bait presentation by maintaining your actual on-the-water GPS speed and allowing you to adjust your speed in 1/10-mile-per-hour increments. Advanced AutoPilot - Simply point your trolling motor in the direction you want to head and activate Advanced AutoPilot. i-Pilot will keep you on your heading and deliver you there with GPS accuracy, while compensating for wind, waves, current or drift. 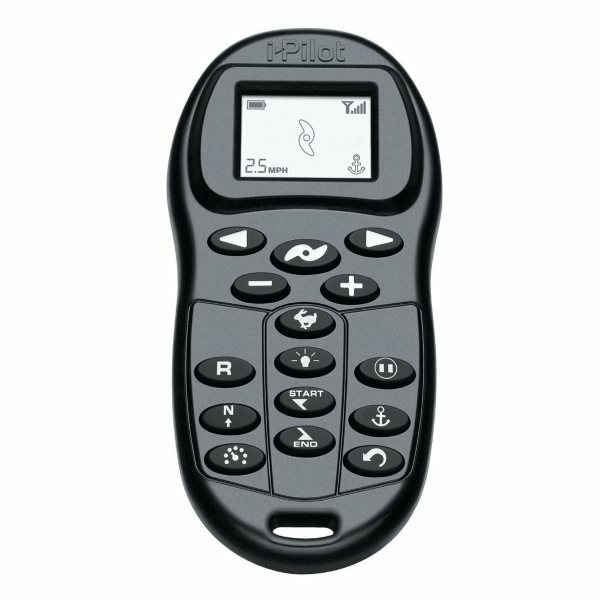 i-Pilot Remote - i-Pilot's integrated, backlit LCD screen is easy to read and delivers instant feedback on active functions, speed, prop on/off status, battery power and GPS signal strength. It's all encased in a watertight, fully gasketed remote that floats; also comes with a convenient lanyard. Installation - i-Pilot installs simply: just replace the top of the motor head, activate your remote and you're ready to fish. i-Pilot system is programmable to allow unlimited i-Pilot remotes to be “learned” (each sold separately).